Ever since I was a little kid, I have been a giant Spider-Man fan. He was what got me into comic books, and introduced me to all the other great characters, both Marvel and DC alike. It originates with Spider-Man for me, and I still think he is still my favorite superhero. What's so great about him is his relatability. He's just some teenager who happens to get powers, and is thrust into the real world. People see themselves in Spider-Man. While they love characters like Captain America or Iron Man, it's hard to relate to a 70 year old man frozen in ice, or an ego-maniacal billionaire. But you can relate to Spider-Man, and that's ultimately what makes him so popular. I've read all the original Stan Lee/Steve Ditko '60s comics run, and I think they're fantastic. I've also come to appreciate his newer incarnations, such as with the Ultimate series. All of this to say, I know my stuff with Spider-Man, and I am certainly a critic when it comes to his movies. I love the first two Sam Raimi films. They're not perfect, but I think they did a really great job in capturing the character. I don't think Spider-Man 3 is atrocious, but I don't think it's a good movie either. And I didn't care for the Marc Webb movies. 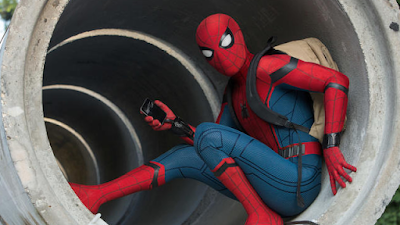 I don't think they understood who the character really is, and The Amazing Spider-Man 2 was just a complete pile of sh*t. So, going into Spider-Man: Homecoming, I was hopeful. I really liked how Spider-Man was used in Captain America: Civil War, and I was excited to see a new stand-alone film. And they absolutely nailed it! Spider-Man: Homecoming is the best we've seen the webslinger on screen, with a brilliant performance by Tom Holland. After the events of Captain America: Civil War, Peter (Holland) struggles with being just a friendly neighborhood Spider-Man, as he yearns to be an Avenger. 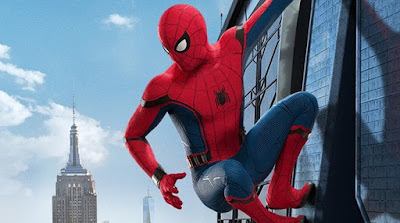 I think Spider-Man: Homecoming is my favorite Spider-Man movie to date, but it is not my favorite movie Spider-Man has been in. Let me explain: Out of all of Spidey's movies, Homecoming captures the spirit and the essence of the character the best. I don't think any of the other films so perfectly embody the Spider-Man I know from the comics. However, I do think Spider-Man 2 is ultimately a better film. So while Homecoming is the best Spider-Man movie to date, it is not the best movie Spider-Man has been in. Raimi's Spider-Man films excellently captured the tragedy of Peter Parker, and I commend them for it. But this film captured his youthfulness. One of the defining elements of his character is that he's just a teenager, and while previous films have tried to capture that, they've ultimately fallen short. Here, Peter is just a kid, and you believe it. That element of his character is done perfectly, from his high school interactions, to his crushes, to his life problems-- it was right out of the comics! Liberties are taken with some of the supporting cast, mainly with their race. But it was all for the better. This is the most racially diverse Marvel film I've seen so far, and it just makes sense. The film takes place in Queens, New York. Having a school that's 99% white doesn't make any sense at all. Though they change the ethnicity of the characters, they're still the same in terms of their spirit. Liz (Laura Harrier) is still the popular girl attracted to Peter's brains. Flash (Tony Revolori) is still an arrogant prick who has it out for Peter. Because these characters were faithful with their spirit, I really felt right at home with the high school setting. I felt like I was back reading the comics. The writing and direction are absolutely fantastic. Jon Watts really understood the character, and went in so many great directions. I wasn't sure of what to think of him as a director before, but I definitely think he was the perfect person to helm this movie upon seeing it. I also think this is the funniest movie Marvel has done, second only to the first Guardians of the Galaxy. There are so many great, memorable jokes. And it's not just the light-hearted nature of the Spider-Man character. It's the back-and-forth between Peter and Ned (Jacob Batalon) as well. Batalon almost stole the movie for me. He did such a great job with the character, and really made him pop. I was a little apprehensive about Peter having a friend, since he was always a loner in the comics. But after seeing the dynamic they established for Peter and Ned, and seeing Holland and Batalon's chemistry, I realized just how necessary it actually was. Jon Favreau has some of the funniest moments in this movie as Happy, and his interactions with Peter. I love him as that character, and I always like seeing him pop up in Marvel movies. For people worried if Robert Downey Jr. was going to be in this movie too much, due to his overabundance in the marketing, it's completely fine. He has a very small role in the film. I would say it's even less screen time than Tom Holland had in Civil War. So don't worry, this isn't Iron Man 4 or anything like that. One of Marvel's biggest problems with their movies is their villains. They usually give so much time to the heroes that the villains are rather underwhelming. Michael Keaton as the Vulture is the best Marvel villain since Loki (Tom Hiddleston). Not only does Keaton give an electrifying performance, but the screenplay gives the character a lot of room to grow. They do some really interesting things with the character, which worked excellently to make him even more formidable. They also tie him and the other villains in perfectly with the larger world of The Avengers, making them feel so natural. It was really smart writing. So how was Tom Holland as Peter Parker/Spider-Man? We got a sample of what Holland can do in Civil War, but it wasn't enough to say definitively how he would be as the character. After seeing Homecoming, I think he is the best Peter Parker/Spider-Man we've ever had. I say that with a heavy heart, because I really loved Tobey Maguire as the character. I thought he captured a lot of the spirit of Peter Parker/Spider-Man, but Holland captures more. The humor and the youthfulness of the character come across the strongest, and makes this movie incredibly refreshing. I love this take on Spider-Man, and I can't wait to see Holland continue as the character in the years to come. One of the things that I really loved about this movie was the direction they decided to take the story. 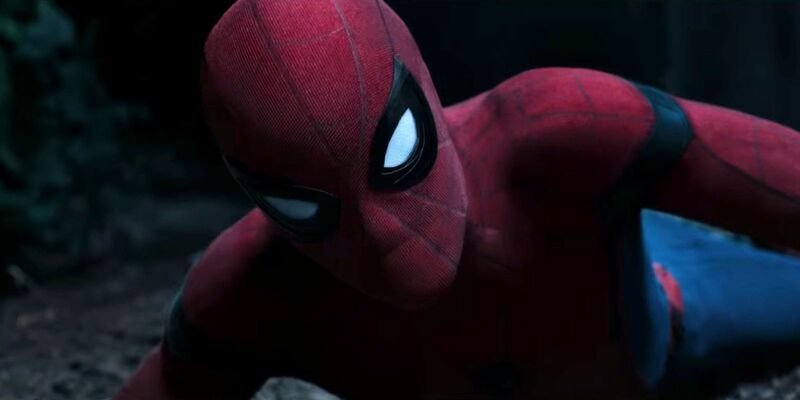 After Civil War, Peter feels like he should be a big league hero, but Tony wants him to remain a "friendly neighborhood Spider-Man", thus forcing Peter to prove what it is he can do. It was such a classic Spider-Man story, wrapped up in the already established world of the Avengers. The blending of these worlds was so natural and organic that I really can't give the screenwriters enough credit. They did a hell of a job bringing this movie full circle. Now, it's no secret that the spider suit has some upgrades. I won't go into details, because they do a lot with it in the film. I am mixed on it. On one hand, it makes sense within the world they've established. If Tony Stark made the spider suit, then he would add Iron Man-level accessories to it. That just makes sense with his character. On the other hand, at times it didn't really feel like Spider-Man. Spidey felt a little too powerful with it. So I'm ultimately mixed on the direction they took Spider-Man's suit. In terms of negatives, there are a few. 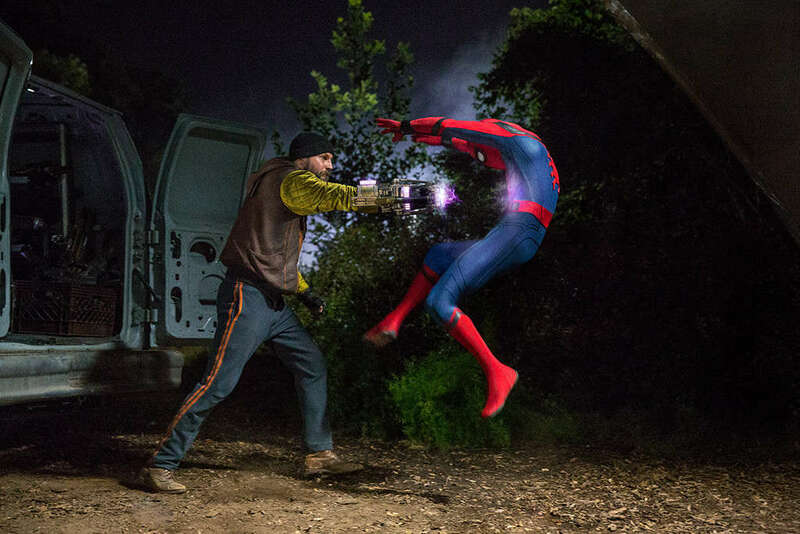 While there are plenty of action sequences, there are very few close quarters fist fights involving Spider-Man. That is really a staple of his character, and it happened maybe twice. That was an element of the character that Raimi did very well, and I just thought we needed more of it here. Stemming off of that, there was never a true fight between Spider-Man and the Vulture. They had a few intense moments, but there was no true fight, which didn't sit right. It was almost as if the writers couldn't think of a way for Spider-Man to defeat the Vulture in a fight, so they just avoided it as much as possible. The very end of the movie, involving Spider-Man and the Vulture, felt rather anti-climatic. They're about to fight, and then something happens that stops the fight, and it just didn't feel satisfying. The second act also dragged a tiny bit. I thought the first act was incredibly strong, and the third act was really strong too. The second act falters just a bit, and I found myself feeling the time the most then. Zendaya plays a character named Michelle in this movie, and I thought she was kind of a waste. Her character was needlessly awkward and eccentric, to the point where it was annoying. She wasn't in the movie long enough to have it really ruin anything for me, but I just didn't care for her character, and found her unnecessary. We've known that villains such as the Tinkerer and the Shocker are in this movie, and yet they felt very underutilized. I wasn't super disappointed with the Shocker, but I thought there was a better way to use him than what they did. Ultimately, I was fine with it, as it put more emphasis on the Vulture. 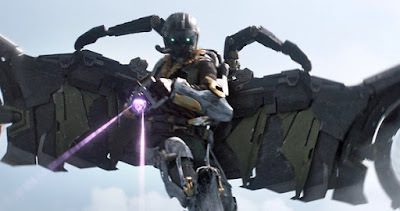 But I think there was a way to keep the focus on the Vulture and still use the Tinkerer and the Shocker in a truly effective way. Overall, Spider-Man: Homecoming is easily the best Spider-Man movie since Spider-Man 2, and is my second favorite Spider-Man movie to date, behind Sam Raimi's second film. It perfectly captures the light-heartedness and the youthfulness of both Peter Parker and Spider-Man. With Peter, there is a major focus put on him being in high school. The characters of Liz and Flash are true to the comics, which made me happy. You really felt like this Peter Parker was just a kid in a grown-ups' world, and it really helped reinforce the movie's themes. Tom Holland is the best Peter Parker/Spider-Man we've ever had. He just absolutely knocked it out of the park. Jacob Batalon almost stole the film as Ned, working as the perfect supporting character. Michael Keaton is formidable and terrifying as the Vulture, and the story went in a different direction with his character that made him all the more intriguing. Robert Downey Jr. has a small role in the film, but is good in his scenes. Jon Favreau had me cracking up every time he was on screen! He had some of the best scenes of the film. Zendaya's role in the movie seemed unnecessary, and I just didn't care for her character. The writing and the direction for this movie are fantastic, and I really liked the story the writers decided to tell. They did a great job organically blending Spider-Man into the established Marvel Cinematic Universe. I'm mixed on the spider suit, however. It functionality makes sense within the context of the film, but I don't think it was exactly Spider-Man. I do think we needed an official fight between Spider-Man and the Vulture, which was missing from the film. And the Tinkerer and the Shocker could have been used better. In the end, Spider-Man: Homecoming is so far my second favorite film of the year (behind Baby Driver), and is a true delight for Spider-Man fans, and especially for avid readers of the comic books. What do you think? Have you seen Spider-Man: Homecoming? Did you like the film? Leave your (spoiler-free) thoughts in the comments section below.